Taylor Blanton and Carly Gannon, Cannon County High School Teen Council. Ms. Robi Turner, Stones River Hospital Employee Health Nurse, was nominated to be the Cannon County representative for the regional health council at Thursday's quarterly meeting of the Cannon County Health Council. Council members Connie Rigsby, Karen Zabriskie, Sharon Stevenson, Lisa Black, Connie Foster, Carla Bush, John Rust, Ann Marie Richards, Michael Ralling and Carl Johnson were present for the meeting. After the approval of Ms. Turner for the regional council, Michael Ralling of the Cannon County Health Department gave a brief report on the WIC program. Ralling informed the council that WIC Education is available now online for qualified recipients. The numbers of eligible population receiving WIC is decreasing at 67 percent. It is the goal to reach 87 percent of the eligible population. Monday Tuesday Wednesday and Thursday. The Center also has a physical fitness center room where members can use the exercise equipment at any time the center is open. Ms. Rigsby also touched on the Cannon County Good Ole Days where the Senior Center will be the sole sponsor this year. 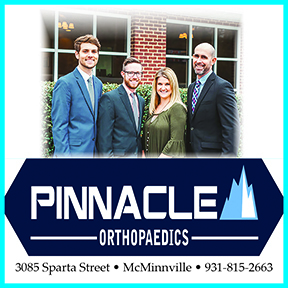 They will be adding some new features to the event in May with the Cannonball 5K run that will take place Saturday May 19th and a 1 Mile Fun Run and/or Walk. Connie Foster, Cannon County Schools reported that Ms. Robi Turner is going to some of the schools in Cannon County and teaching CPR classes. Ms. Foster spoke about the Safe Routes To School Grant that the School System was recently awarded. This grant will be used to build sidewalks at Woodbury Grammar School. Ms. Foster also talked about how successful the Cub Clinic at the Woodbury Grammar School to the point where the nurse practitioner Paula Todd felt certain there were a number of kids that she has seen that would never have seen a doctor if it hadn't been for the services of the clinic. 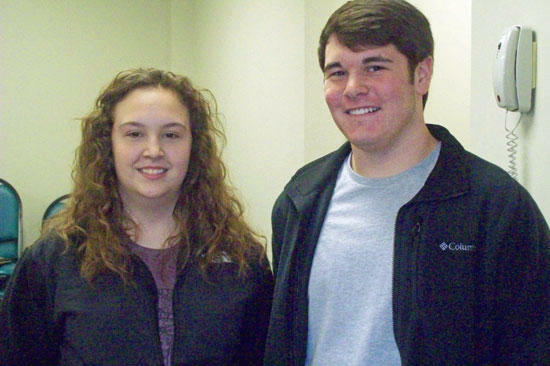 Taylor Blanton and Carly Gannon, students at Cannon County High School, are on the Teen Health Council. The Council made up a video taped public service announcement for the grammar schools that dealt with tobacco prevention and promoting a health lifestyle. Carla Bush of the UT Extension office gave the council and update. With the TNCEP programs and personnel cut from the State funded budgets. A TNCEP coalition has been formed. The program is intended to help All Cannon County Schools and Pre-K programs. Department of Human Services, USDA Commodity Programs and the Cannon County Senior Center. Ms Bush handed out a needs assessment worksheet for the council to give their input on the needs and specifics of a TNCEP program. A proposed by-law change was brought up before the council. A motion was made, seconded and approved by all those in attendance. The change deals with the council officers serving a term of two years on the council rather than the one year the original policy stated. Appointment and election for new officers will still be made by the Council members. The next meeting of the Cannon County Health Council will be on May the 8th.